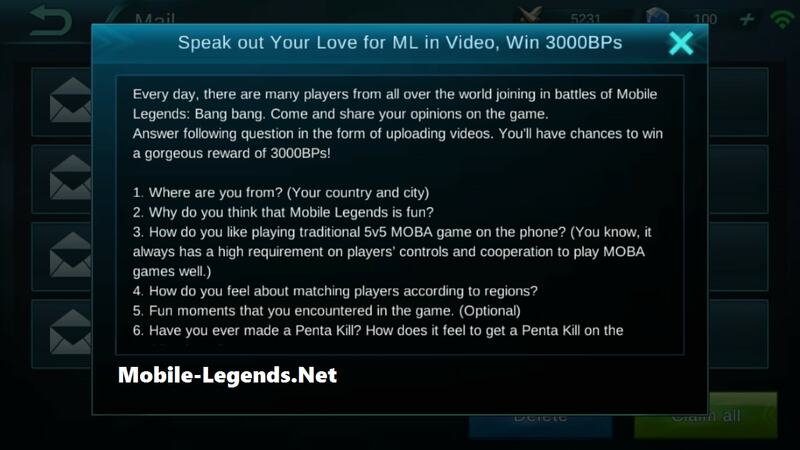 Mobile Legends Video Event, send your video and get the all rewards! And i am ready to upload my own video. Then look this rules and upload your video dude. 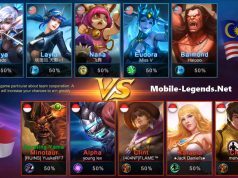 Every day, there are many players from all over the world joining in battles of Mobile Legends: Bang Bang. Come and share your opinions on the game. Answer following question in the form of uploading videos. You’ll have chances to win a gorgeous reward of 3000 BPs! 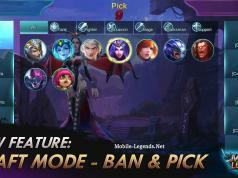 Why do you think that Mobile Legends is fun? How do you feel about matching players according to regions? Have you ever made a Pneta Kill? How does it feel to get a Penta Kill on the mobile phone? Answer those questions and shoot it as a video by yourself or with help of your friend. You must appear on camera. Video graphics must be clear and without shake. You can send us the video file to us directly or upload the video to YouTube and provide us the link. Submit to: [email protected] Please write down your GAME ID and server in the email so as to send prizes. You can answer the questions in your native language. However, if you are not using English, please write down your answers in email as well so that we can translate and subtitle them. Your videos might be used in promos of Mobile Legends. Your submission will be considered as your acquiescence to this rule. Thank you for your support. Mobile Legends is more wonderful with you!